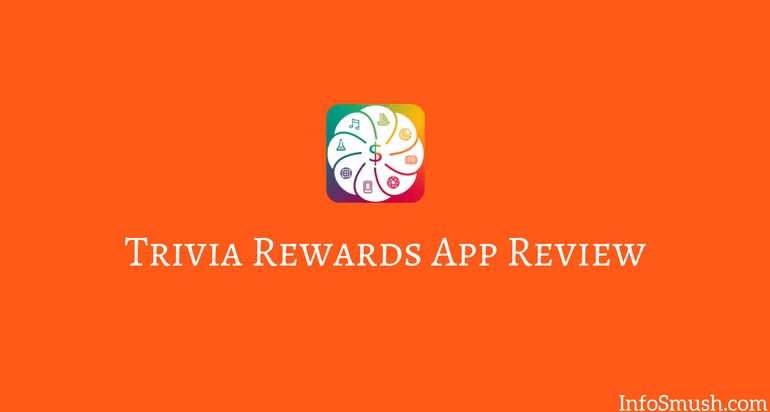 Trivia Rewards pays you for completing offers and quizzes. The points you earn can be redeemed for PayPal cash or Gift Cards. You will earn tokens for completing offers, surveys and watching videos. You can use these Tokens to play quizzes or convert into points. You can earn points by playing quizzes and as a daily reward. Offers: You can collect Tokens by completing offers from Adscend Media, OfferToro. Surveys: You can earn Token by completing surveys from survey providers like; Polfish,OfferToro,etc. Videos: You can earn 1 Token for each video ad. You can earn 10 points every day as a daily bonus. To play quizzes you need Tokens. 1 Token = 1 Quiz. You can earn up to 30 Points per quiz. Every quiz has 10 questions. For each correct answer, you get 3 points and every wrong answer cuts 3 points(-3 points). You can earn between 250-500 points per referral. The earning is determined randomly. But to receive your points your referral must reach 1,000 points. You can exchange your points for PayPal cash, Payoneer cash, Amazon Gift Card, eBay Gift Card, Dominos Pizza Gift Card(For US), Steam Wallet Code and Google Play Gift Card. Rewards are paid within 15 days after the request. Thanks for sharing great information . We would like to share various steam gift card that you can easily safely buy steam, such as Google Play Gift Cards, iTunes Gift Cards, Blizzard Gift Cards, Blizzard Gift Cards, Riot Points, Amazon Gift Card, PlayStation Gift Cards, Xbox Gift Cards and many more. SteamCardDelivery provides trusted 5-star service to tens of thousands of customers worldwide. Check out our reviews to see why gamers keep buying from us again and again. Bannerizer made it easy for you to promote ClickBank products by banners, simply visit Bannerizer, and get the banner codes for your favorite ClickBank products or use the Universal ClickBank Banner Rotator to promote all of the ClickBank products. Bannerizer makes it easy for you to promote ClickBank products with banners, simply visit Bannerizer, and get the banner codes for your favorite ClickBank products or use the Universal ClickBank Banner Rotator to promote all of the ClickBank products. Thanks for the update keep it up finally i found the information about fun quizzes here thank you for this blog ! !